I’m going to go with the most recent one that I read which is Angelfall by Susa EE. I started reading it at nighttime and I was really hooked so I ended up sleeping really late just because of it. Truthfully none. Even when I watch scary films, at times late at night by myself, I would never get scared go to sleep. Maybe that’s just me. So no, there hasn’t been a book yet that made me scared to go to sleep. Matched by Ally Condie. I had to try and prevent my eyes from closing. For a three hundred something page book, there was not a lot of happening and if there was, it was the most boring scenes. What book has you tossing and turning in anticipation of its release? As much as I anticipate book releases I don’t think I toss and turn. I am definitely enjoying my slumber, that’s for sure. This girl needs her beauty sleep. 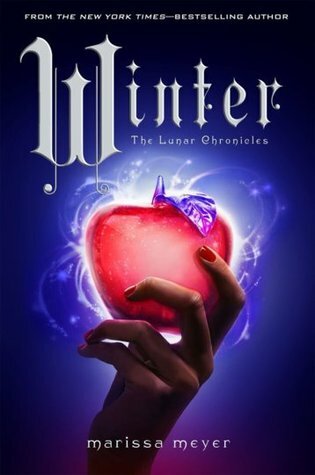 🙂 But if I had to choose one that I’m excited I’d go with Winter since it’s the final installment of The Lunar Chronicles. I own the other three books and am still in the process of reading them so I am excited for the last book and see how everything will end. What book has your dream boy/girlfriend? What book world would be your worse nightmare to live in? Any dystopian world to be honest with you. 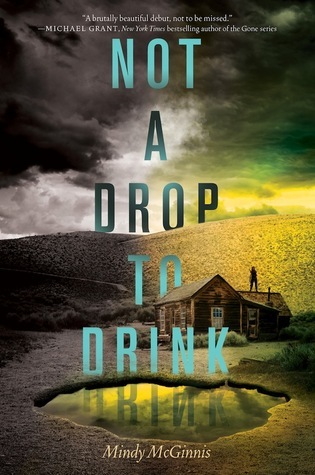 But the world that I’d probably would be scared to live in is in the dystopian setting of Not a Drop to Drink by Mindy Mc Ginnis. A place where water is scarce and the access to it is controlled…Uhh yea we all need water for survival. Another would probably be Fahrenheit 451 by Ray Bradbury. A society that forbids reading and burns books, that’s a nightmare itself! What am I suppose to do without being able to read books?!! I’m sure there are other forms of entertainment, but reading is a big part of my life. 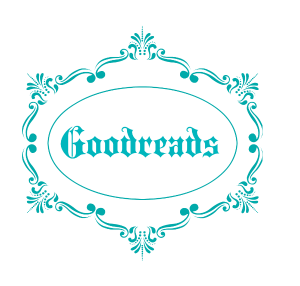 Moreover, I’m sure I will not go unpunished–death being the worst for even owning and reading books. I know I cheated on this one, but I just couldn’t choose between the two…. HAH I can’t believe I even picked this one. I wouldn’t really say it had a “nightmarish” cliffhanger, but it was definitely a cliffhanger that I didn’t like. What book cover reminds you of nighttime? I do own the book, but haven’t read it yet so I can’t comment on it other than how I find the cover quite beautiful. I dreamt of being Dauntless because in reality I’d probably be the exact opposite of everything a Dauntless is! You definitely won’t see me jumping off trains. Nope not going to happen. Though I wouldn’t mind climbing a ferris wheel or zip lining (done that before and it was so much fun!). I think the only dream I’ve had with a book or its characters were being in The Hunger Games and…fighting for my life. It was kinda wicked to be honest LOL. Otherwise, I’ve dreamed about random bloggers here and there as if they’re people I’ve known forever. It was kind of surreal! Oh gosh, the only book I’ve read that you mentioned in this post was Fahrenheit 451. I’m so behind on my TBR, lol. Anyway, I so agree, dystopian worlds are just so scary! 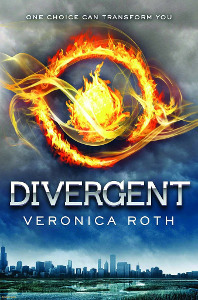 Like having fear landscapes (I haven’t read Divergent yet… but I’m guilty of already watching the film!) and participating in the hunger games is just omg. 😮 And thanks for tagging me, Erika! That’s totally fine! HAHA But you should read one of them soon. 😉 Then again I’m sure that you have other books that is on your TBR that is more of a priority than those I have mentioned. Dystopian worlds are never an ideal. HAHA I would be freaking out in my fear landscapes.. It’s quite hilarious because some of my fears would be so trivial compared to others. I’ll try get on the book as soon as possible. Not a Drop to Drink! I read that. We’d have to dig wells for the water, I suppose. HAHA oh my gosh most likely! HAHA no rush on when you need to post the tag. Thanks for doing this tag! Your answers were so great, I would HATE to find Nagini or the basilisk under my bed too, snakes are one of my biggest fears! Me too, watching chamber of secrets is a nightmare! I totally agree with some of your answers, for starters, damn, Warner is the best, I fell in love, too! 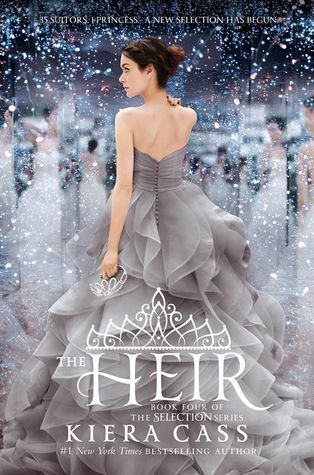 The ending of The Heir totally left me hanging, I wanted to know more right away, it’s such a shame to leave us on such a cliffhanger!! I can’t wait to know what happens next! Oh my gosh that cliffhanger was kind of just like "seriously Kiera Cass you're going to end it right there?!!" I mean honestly that's probably the best part of the whole entire series when there was action going on. Thanks for tagging me! And I agree about Matched was horribly boring. A good idea, but a horrible execution. Your welcome! 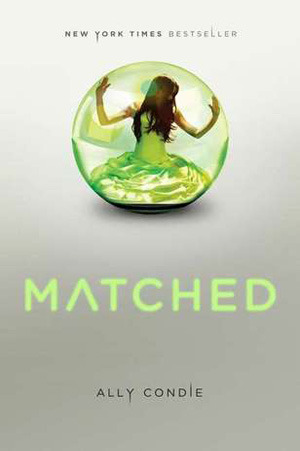 Matched was just so ughhh…I can’t eve put into words how bad this book was. I think I might have done this one already, but if not, I’ll participate! Thanks for tagging me! I love this stuff! So fun. HAHA I didn’t check people’s blog for this tag if they have already done it so if you already did the tag that’s okay. Thank you for tagging me! Warner is dreamy 😍 After reading Destroy Me I knew there was no going back from there. AHH The Heir’s cliffhanger. I NEED THE NEXT BOOK NOW. I know, right?! While Eadlyn annoyed the crap out of me for most of the entire novel I want to know how everything goes for her and if America will be fine! Haha it’s so scary and gross looking. Anyways looking forward to reading your answers!